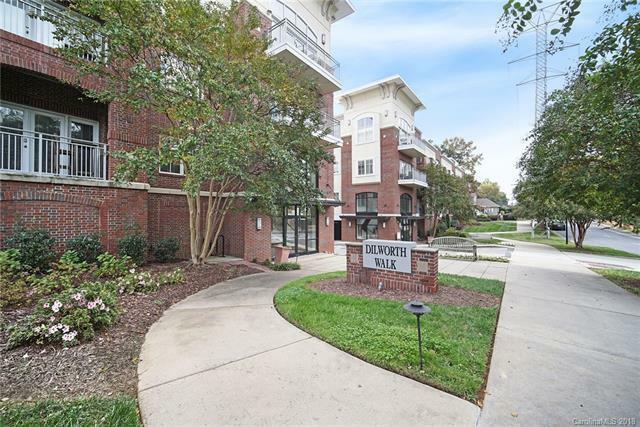 Stunning End unit condo in Dilworth with exceptional price! This Walk up unit boasts all the walkability to restaurants, shops, grocery stores, coffee, parks and much more while still being nestled on the back of the building which gives it complete privacy. Hardwood flooring throughout main living areas. Open floor plan which is great for entertaining! Kitchen boasts 42 inch cabinets, granite countertops and stainless steel appliances. Walk out on the wrap around porch this unique home offers. Home features surround speakers in living room and patio and receiver! Enjoy your almost private only dog park right outside your front door! You really dont want to miss this amazing opportunity in the heart of Dilworth. Short trip to Uptown, Southpark and airport.